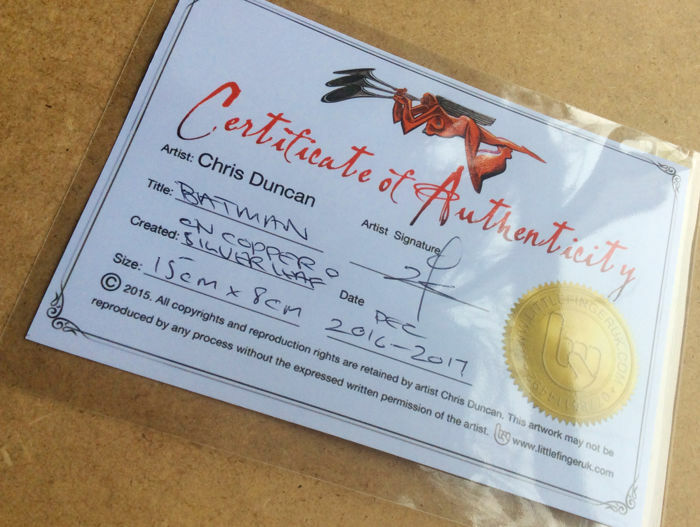 Chris Duncan works with sheet metal to create awesome pop-culture inspired artwork that is sold to private collectors, and via galleries. 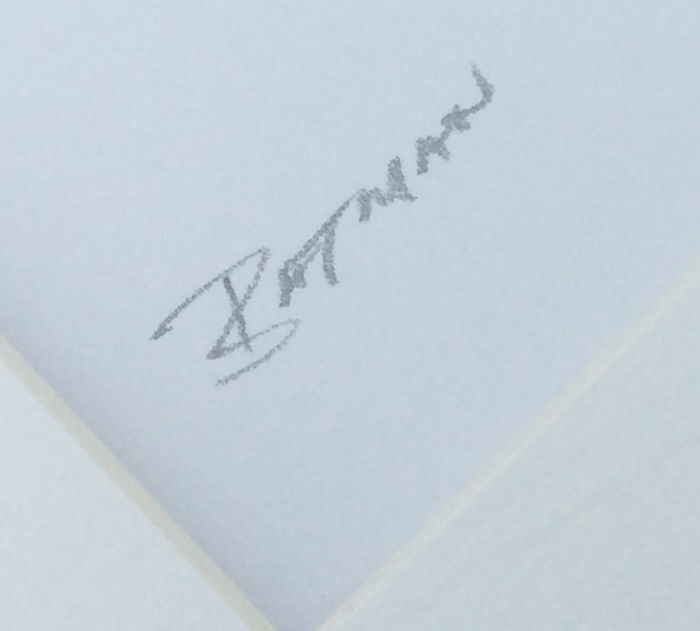 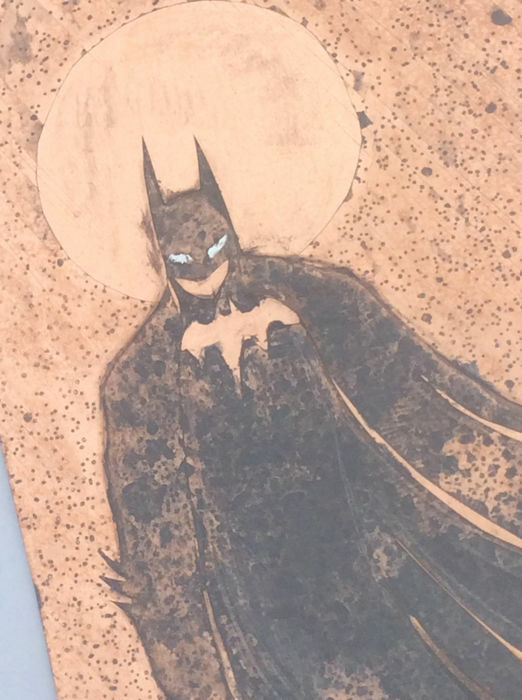 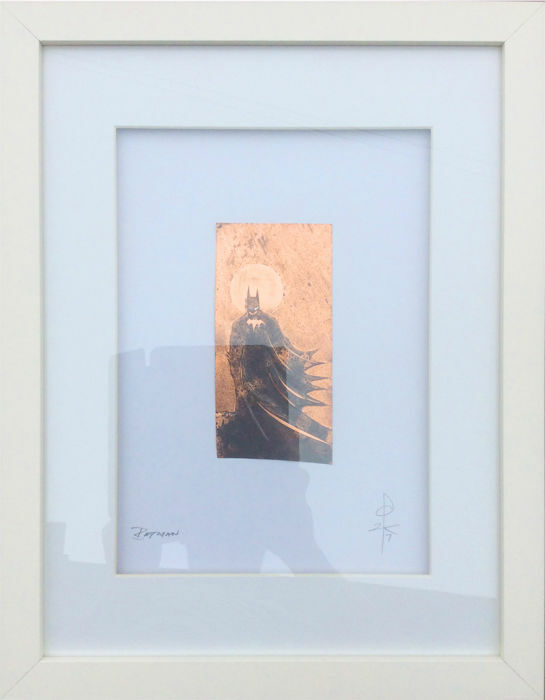 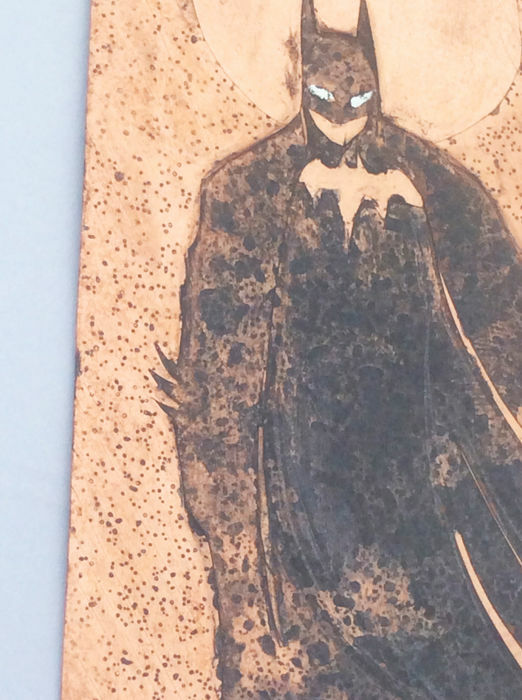 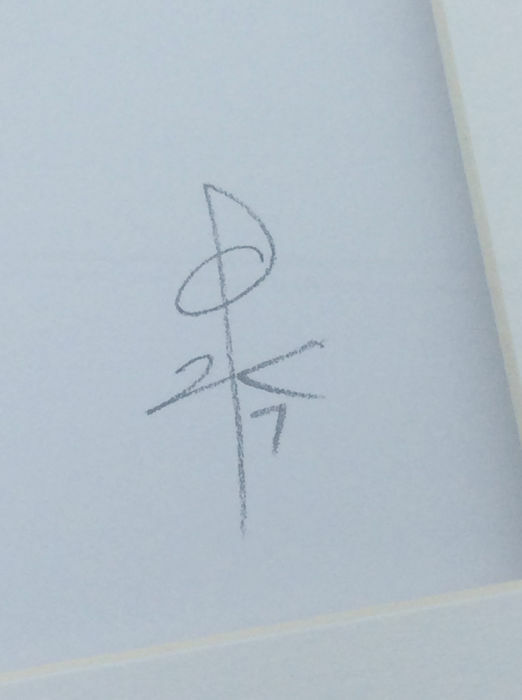 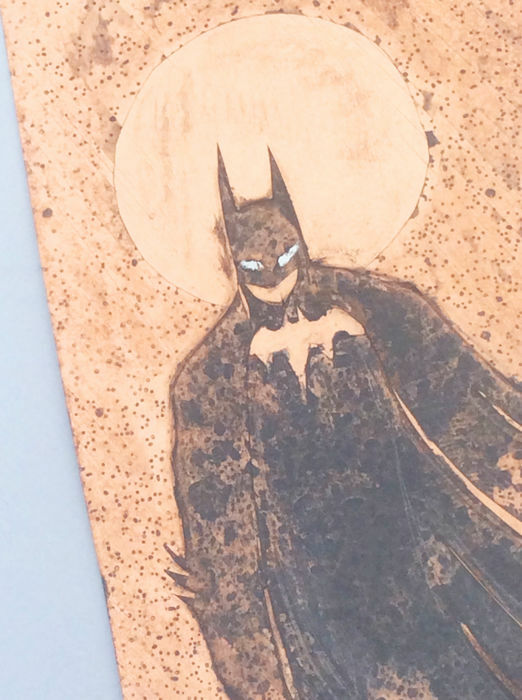 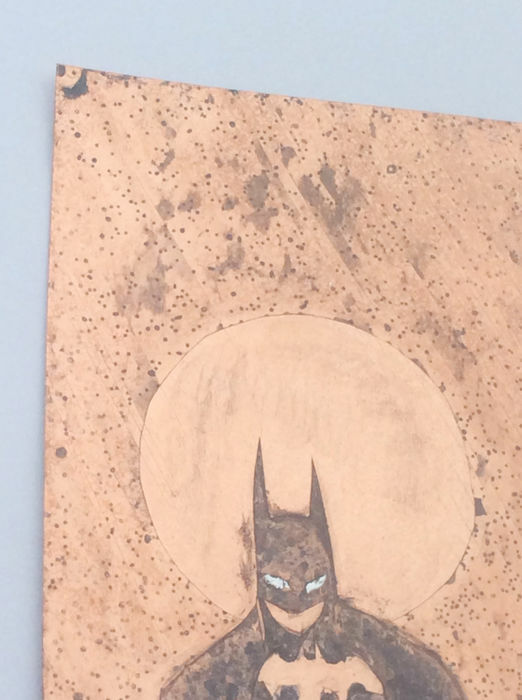 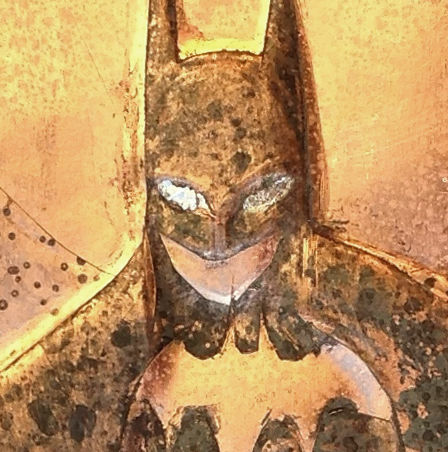 This BATMAN ORIGINAL piece has been hand produced by Chris using sheet copper. 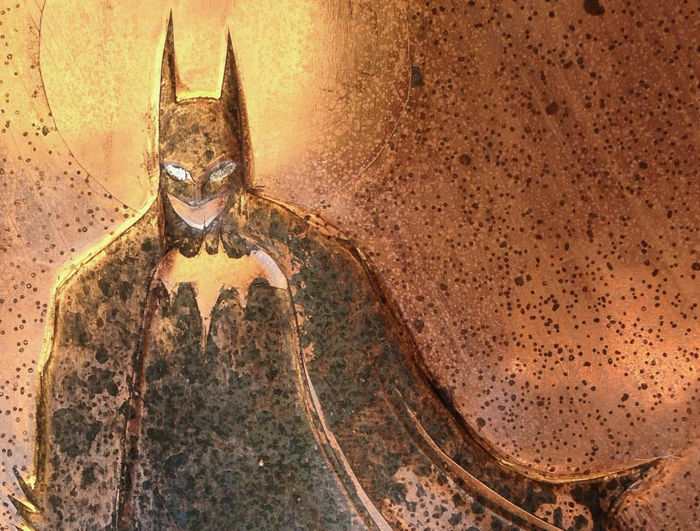 He draws on to can and manipulating both sides of the metal creating a slight relief or 3D effect. 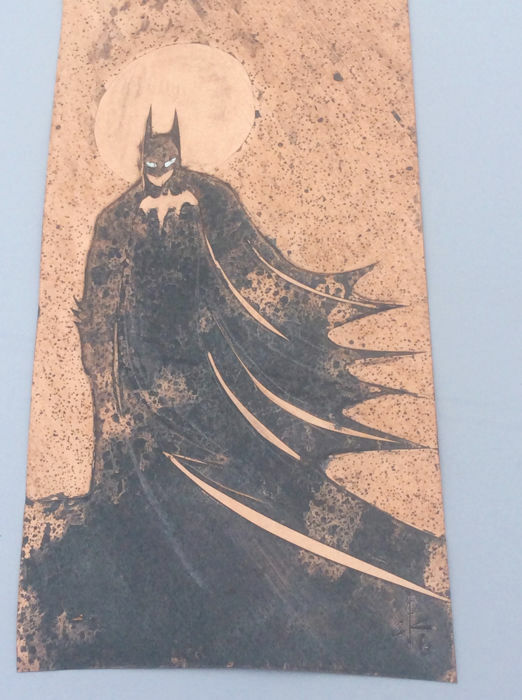 Using chemicals he darkens off the raw metal to help revealed the subject matter. 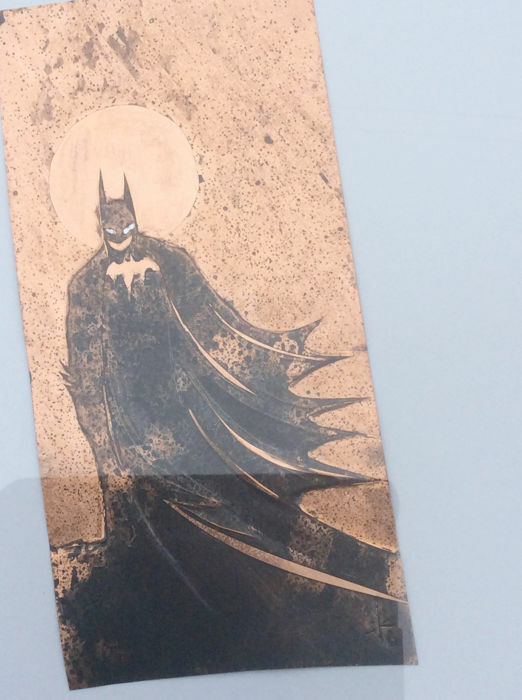 Coloured metal leaf is used for spot colour and light and shade, and then sealed with a gloss lacquer. 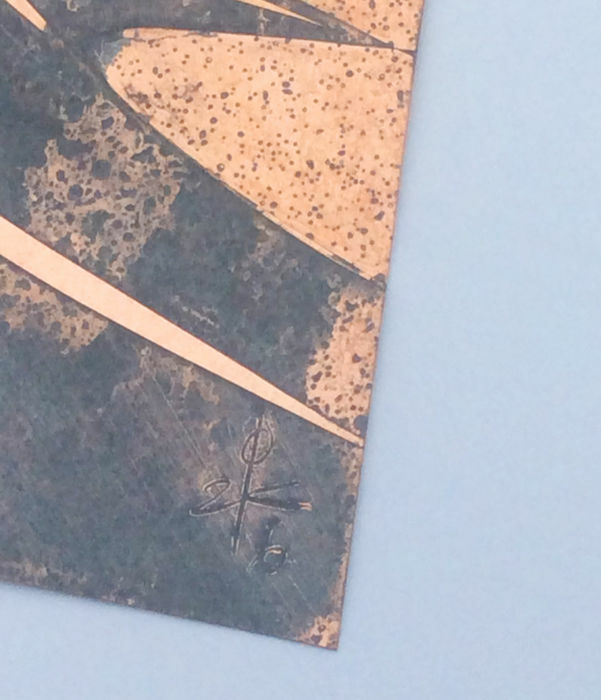 Puedes recoger este lote en persona: Chorley (Lancashire), Reino Unido.